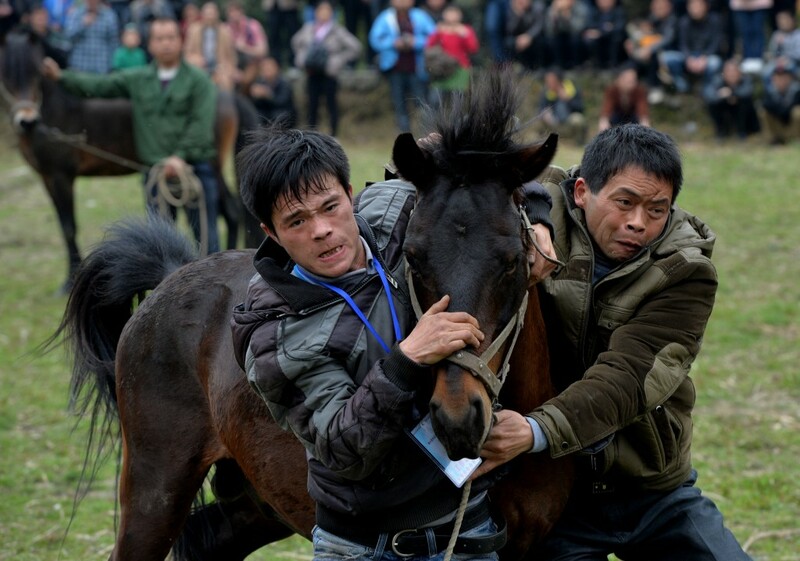 Two male horses battle on Sunday as part of Tiantou’s Chinese New Year celebration. Photo by Mark Ralston/AFP/Getty Images. In several small villages throughout the southern regions of China, a grisly 500-year-old tradition kicked off the Chinese New Year last week. 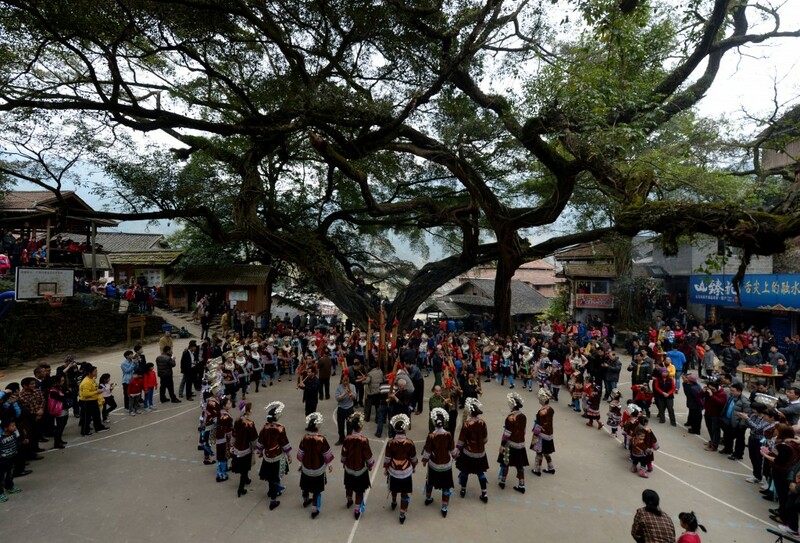 According to a report from l’Agence France-Presse, members of the Miao ethnic group have been holding horse fighting competitions for more than five centuries. These tournaments, which offer prizes of up to 10,000 yuan (around $1,650), are held year-round, but are occurring more frequently as the Year of the Horse begins. 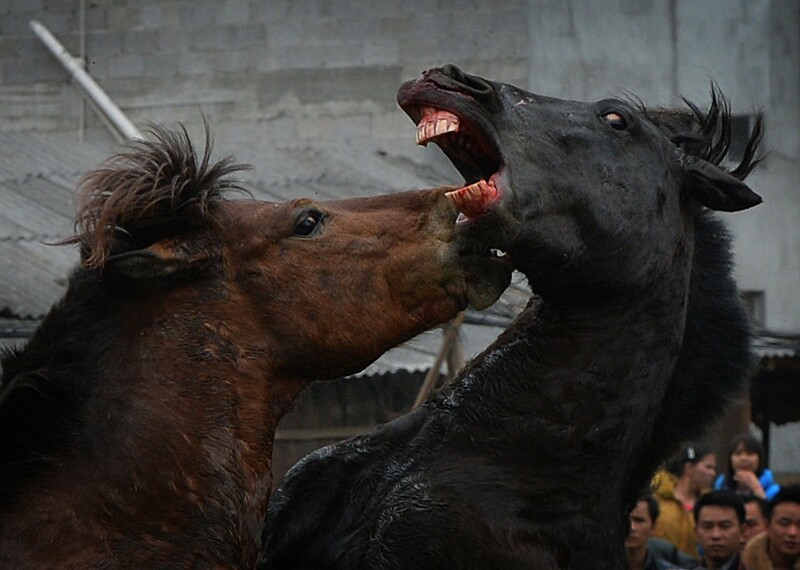 The horses are pushed to kick and bite each other by the presence of a female. Photo by Mark Ralston/AFP/Getty Images. “We used to hold horse fights just once a year, but now we do it more often. 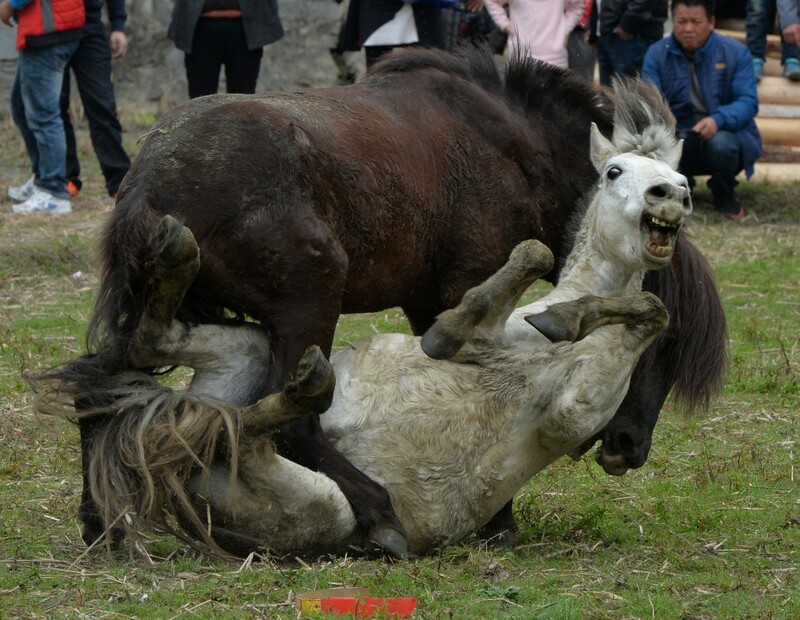 Because this is the Year of the Horse, we are even more happy,” Zhou Tingyi, who presided over the fights in Tiantou — a village in the Guangxi region — said this weekend. Hundreds of spectators gather to watch the fights, with little separating them from the action. Above, two trainers attempt to corral a stallion. Photo by Mark Ralston/AFP/Getty Images. At Tiantou’s New Year competition — which also features costumes, dances and other forms of pageantry — barriers don’t separate attending villagers and tourists from the clashing beasts. “Without horse fighting, it wouldn’t feel like a new year,” said trainer Pan Jianming, whose horse Little Black won a competition this weekend. 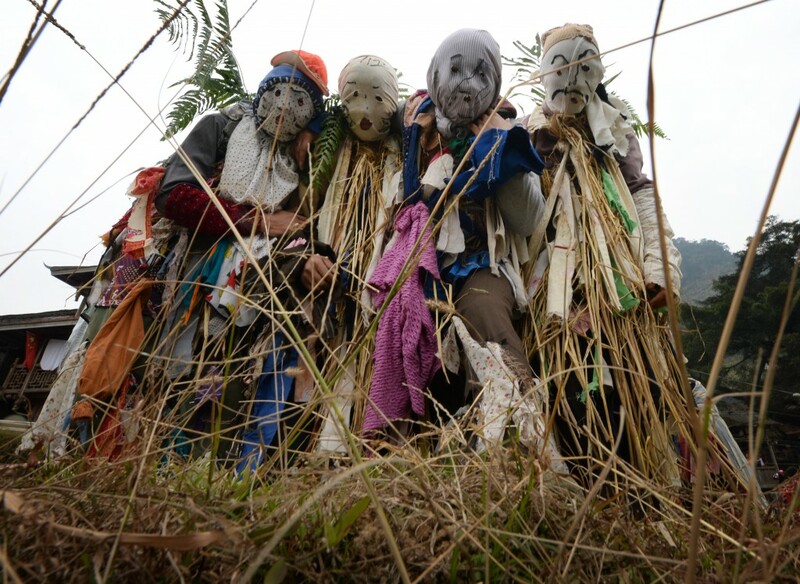 Members of the Miao minority group dress as spirits as part of the traditional New Year events. Photo by Mark Ralston/AFP/Getty Images. Tiantou’s villagers, dressed in traditional costumes, dance on Sunday during the New Year celebrations. Photo by Mark Ralston/AFP/Getty Images. A video of the fighting is available on YouTube.